1 – The Little Forks Conservancy in Midland is hosting an online challenge to promote the use of a smartphone app. The Midwest Invasive Species Information Network app allows users to track and determine areas where invasive species exist. The Conservancy is holding free public workshops in October in Midland, Gladwin and Clare counties. The workshops will show landowners how use the app to identify invasive plants, and become more aware of invasive plants and the threats they pose. Participants will use the app to record the locations and images of invasive plants in their towns. The challenge will take place from Oct. 21-29. Little Forks will award prizes to the participant who reports the most invasive plants from each county. 2 – Registration is open until Sept. 30 for the fourth annual Campus RainWorks Challenge. The contest, being put on by the U.S. Environmental Protection Agency, is for undergraduate and graduate students. The EPA is inviting student teams to design a green infrastructure project for their campus. The project should show how managing stormwater at its source can benefit the campus community and the environment. As opposed to catch basins, pipes, and ponds that move stormwater away from the built environment, green infrastructure uses vegetation and soil to manage rainwater where it falls. This year, EPA is asking student teams to incorporate climate resiliency into their designs. There are two design categories: the Master Plan and the Demonstration Project. EPA will award a total of $16,000 to first- and second-place winners for the Campus RainWorks Challenge. Winners will be notified in April 2016. First-place winners for 2014 were from the University of Illinois at Chicago and the University of Maryland, College Park. 3 – Michigan has three state parks with dark sky preserves, including Port Crescent State Park in Huron County, and parks in Lenawee and Emmet counties. On the night of Sept. 27 to the early hours of Sept. 28, these parks are the perfect spot to view a total eclipse of the moon, the state Department of Natural Resources says. 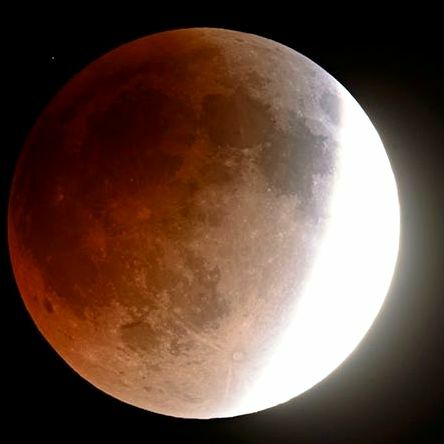 The Harvest Moon eclipse begins at 9:07 p.m., but the best views will be from about 10:10 to 11:30 p.m., from anywhere east of the Rocky Mountains. Michigan state park day use areas are closed after 10 p.m. For late-night viewing opportunities, you’ll need to book a campsite and watch the skies from the campground.